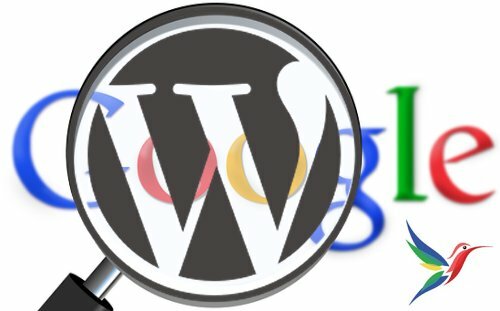 Comment on WordPress SEO Tutorial by SEO Dave. Before I explain how to noindex paged categories and tags, first going to cover some basic SEO misunderstandings. If you use a WordPress theme like the Stallion SEO Theme your tags, categories and other WordPress archives will use post excerpts. Have archives with post excerpts is not going to cause a duplicate content penalty. Millions of websites run WordPress and most will have categories with excerpts and many will have full posts. If your WordPress theme has full posts on categories this is a bad idea, not for duplicate content issues (Google is smart enough to determine which is the main article), but pagespeed issues, loading 10 full posts on a webpage (category, tag etc…) is a bad SEO idea. Noindex won’t stop the wasted resources when Google spiders a category with 10 full posts, same when your visitors view them. If your WP theme shows full posts either modify the theme or change WordPress themes. If you theme uses post excerpts on categories etc… it’s not an issue. The noindex,follow robots meta tag. If you use a WordPress plugin like Yoast WordPress SEO it has options to noindex,follow archive sections of the site. This is a bad SEO idea, noindex,follow a page means Google won’t index the category, but will pass link benefit to the links from the category. What this means is Google won’t index the categories, but will still follow links from them. There is no good reason to do this, it means your categories can’t rank for anything! Your categories and tags are webpages just like any other webpage, they can generate traffic in their own right, by using Yoast WordPress SEO you deny your website webpages that could generate traffic! Noindex still costs the link benefit Google would have used to rank your categories etc… for relevant SERPs, so you aren’t saving the link benefit for your posts, it’s wasted by using noindex. So don’t use noindex on categories or tags. 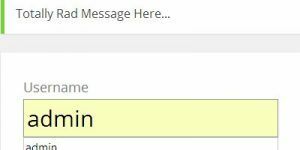 The Stallion Theme and the Stallion WordPress SEO Plugin (it’s free) has a feature like noindex (I call it Not Index) which uses canonical URLs to do exactly what the commenter above asks for. Index the first page of a category, not index the category paged sub-pages. The difference between noindex and Stallion Not Index is when you Not Index the canonical URL acts like a 301 redirect on the paged categories redirecting the link benefit back to 1st page of a category (same for tags and other archives). The Stallion theme includes a feature to give category page 2, page 3 etc…. a unique title tag, H1 header and links, so you can target multiple SERPs on a set of category sub-pages. So on this site I don’t use Not Index, I set unique titles for category sub-pages and target more SERPs. 1,200+ posts in only 8 categories averages at 150 posts per category IF you have them spread evenly (which you won’t). If some WordPress tags get search engine traffic keep them and keep the same layout, but delete the tags that get no traffic. I don’t use WordPress Tags because in structure they are the same as Categories. For both questions I’ve not done anything special to achieve this, left it to Google to automatically set the meta description and the Google sitelinks. So what you see is what Google thinks are the best meta descriptions and sitelinks. The WordPress excerpt replaces the default snippet of text you see, the links to the post remain. So just a way to make your categories unique/SEO’d. If you want articles not to show on the home page you have the option of using WordPress Static Pages (“Pages >> Add New” instead of “Posts >> Add New”). Which Matt Cutts talk was you listening to?